We sincerely hope you don’t need this piece of advice, but for those like myself, who seem to be followed by injuries and accidents, read on. 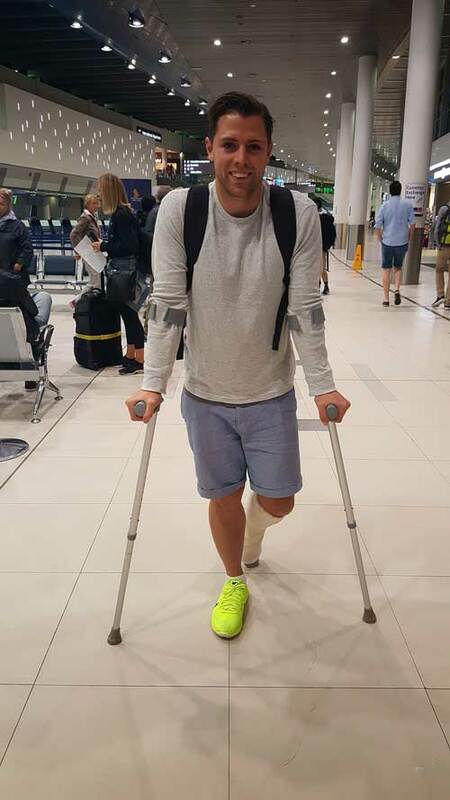 On my recent trip back to Australia to catch up with family and friends and resolve some outstanding issues, I managed to rupture my Achilles tendon. 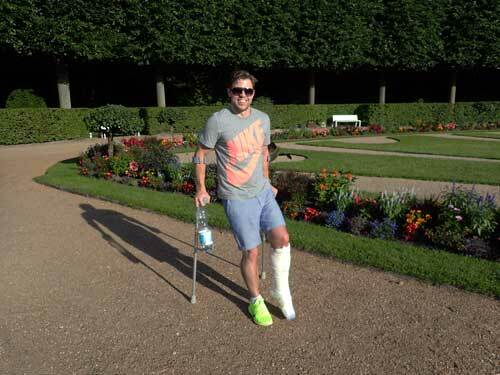 Not a painful injury, more so a huge inconvenience with a lengthy recovery period. 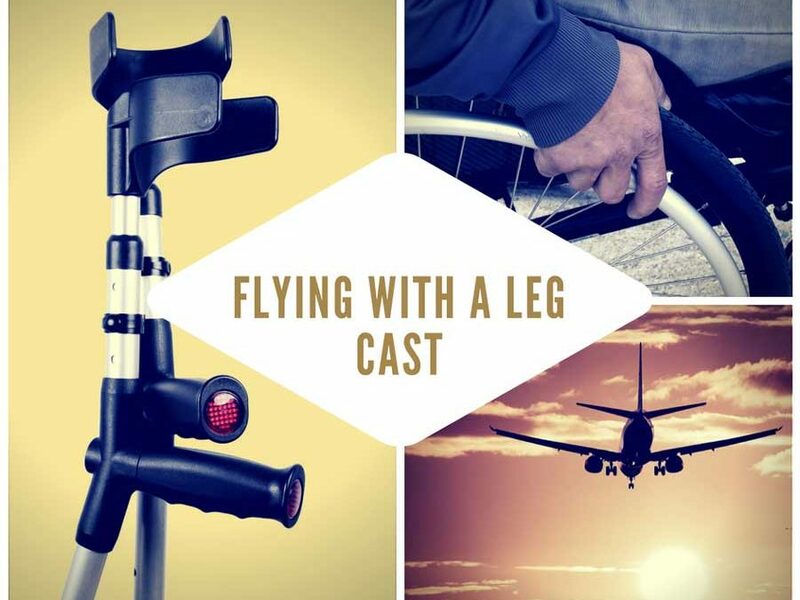 Whether you’ve broken your ankle, leg or done some serious ligament or tendon damage pre flight, you’re going to want to have a few things in place. I had a 24 hour journey ahead of me, returning to Germany from Australia so you shouldn’t come across too many longer transits than that. If you’re a responsible traveller you should already have travel insurance in place. Should you be unable to continue with your planned travel, they will reimburse you for cancellations or changes to your itinerary in addition to covering your medical expenses. Make sure you contact them and explain the situation to them as soon as you get the opportunity. When you see your doctor or surgeon, make sure to ask them about the risks associated with flying. Especially if you are intending to fly within two weeks of an operation or doing your injury. Your risk of Deep Vein Thrombosis (DVT) increases significantly if you are unable to move your legs and get the blood flowing. Essentially, the calf muscle acts as a secondary heart, the movement during walking helps to pump the blood from your lower legs back up to your lungs. Not moving your leg limits this effect and you’ll likely experience some swelling in your lower leg as the blood and fluid pools there. DVT is basically a blood clot that forms from a severe lack of circulation, and they can cause all kinds of difficulties for you. It’s unlikely that they will be impressed that you’ll be travelling with your injury, but they can certainly assist to make the process easier. You should enquire about getting some blood thinning injections (far more effective than taking Aspirin) and a note so that you can get a better seat & treatment on your journey. For my injury, I managed to get a prescription for some Clexane injections to help thin my blood. These are easily self administered and really assisted since I wasn’t able to stretch my legs and move around the cabin as much. My legs didn’t swell up at all. 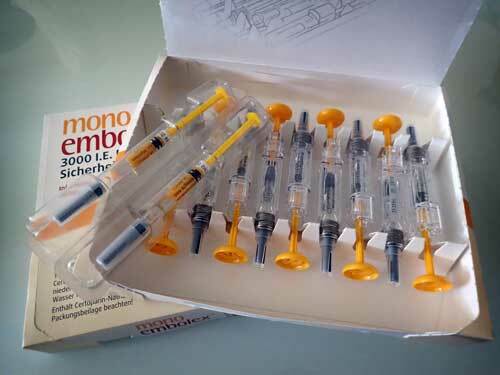 For anyone interested, I administered injections daily for the two days prior to flying, immediately prior to boarding my flight and daily for the two days post journey to mitigate the biggest period of risk. 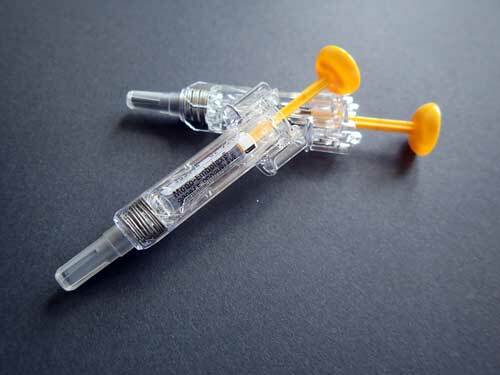 I hate needles with a passion but this was easy enough to do (only made difficult by my sweaty palms) – I’d recommend this to anyone in a similar predicament. Ensure you also drink plenty of water during your flight, and stay away from the alcohol! It is also highly likely that you will need your cast to be split (simply cut down the entire length) to allow your leg to swell without creating too much discomfort. Your legs can swell on a plane due to the lower pressure in the cabin and lack of movement preventing your calf muscles from pumping blood against gravity. Keep in mind you will likely need to have a new cast fitted once you arrived in your destination as a split cast tends to deteriorate far quicker. Regardless of who you are flying with, you should absolutely let them know of your injury. I flew with Emirates and they were more than happy to organise wheelchair assistance at all airports and assistance with my baggage. Depending on your airline, some won’t allow you to travel within 48 hours of having a full cast fitted due to the risks, but there should be no issues with a split cast. Emirates also offer a multitude of seats for people with disabilities and these are aisle seats, closer to the toilets. As I booked my seats with my injury in mind, I managed to get good seats in empty rows which helped keep my injury elevated, but if you have already booked your seats, your airline should be able to move you to a more desirable seat free of charge. Aisle and/or bulkhead seats will be invaluable. On the plus side, my luggage was first off the plane which helped to beat the customs queue. Additionally, priority boarding and skipping the lines at security checks helped to make the journey a much more pleasant experience. I had high hopes of a complimentary upgrade when I was checking in. And despite the business class seats being less than a third full, no offer was forthcoming. It is a possibility, but I think the airlines have certainly cracked down on offering upgrades to passengers free of charge. Be sure to confirm the wheelchair assistance and ask whether your seat is suitable for your condition, or ask to be moved into a vacant row/with extra legroom. If these aren’t available I’d recommend an aisle seat, where you can stretch your leg out in the aisle. You’ll want to arrive earlier if possible to have a higher chance of being moved to a better seat. And keep in mind it will take longer to navigate the airport. Most airlines will offer priority boarding to passengers with disabilities. If you’re on crutches then it is essential to take them up on this offer. The aisles on the planes are difficult to navigate on crutches when empty, let alone with other passengers and bags blocking the path. So make yourself known to the airline staff at the gate. I found just sitting near the gate was enough for them to come and ask me to board first. Unfortunately, the majority of airlines will stow away your crutches for take-off and landing, as they won’t fit into most of the overhead lockers or under the chair. I found the airline staff and other passengers to be pretty helpful and willing to get the crutches out once at cruising altitude. Of course, being seated close to the bathroom also offers the benefit of being able to hop to the bathroom when required. Make sure you ask for assistance to get your crutches back and don’t risk further exacerbating your injury. As always, try to get some movement in your legs during the flight. With your leg in the cast, try to keep it elevated where possible and raising it above hip height will aid your circulation. Drinking plenty of water will help to keep your blood thinner and minimise the risk of a clot/DVT in your leg. The inevitable side effect of drinking plenty of water will mean you need to use the bathroom more often, so a seat close to the facilities will come in very handy. And don’t be afraid to ask other passengers to make space for you in the aisle. This was the worst part of my journey. Especially after waiting half an hour to get through the visa check in Munich and having rude passengers pushing in front of me in line! The airport was meant to have organised assistance to help collect my baggage from the carousel and get it to my car, but there were no staff to be seen. With some help from other passengers, I managed to get my 27kg suitcase off the carousel and out to the foyer. For those not lucky enough to have helpful fellow passengers or have help organised, definitely get someone from the airline or airport staff to assist you. I don’t recommend trying to do it yourself, it’s too risky that you will only further injure yourself. The airline should coordinate with the airport to organise assistance for you, as Emirates had attempted for me. Make sure the airline is aware of your disability and see your doctor before flying. Keep your essentials on your person. Wearing clothes with pockets will help keep you organised so you don’t always have to fumble about in your backpack for your passport or boarding pass etc. Make sure you are competent at getting up and down steps on your crutches. Sometimes there aren’t ramps to the aircraft or it is a long walk to the elevator. Stay hydrated by drinking plenty of water before and during your flight. Avoid alcohol and excessive amounts of caffeine. Move your legs where possible and try to keep your injured leg raised where possible. Ask the flight crew if you can be moved to a free row or a bulkhead seat if one is available. If you’re travelling in countries that tip for services, be mindful that this is probably expected every time someone helps you, with your baggage or in the wheelchair. So keep some change handy!